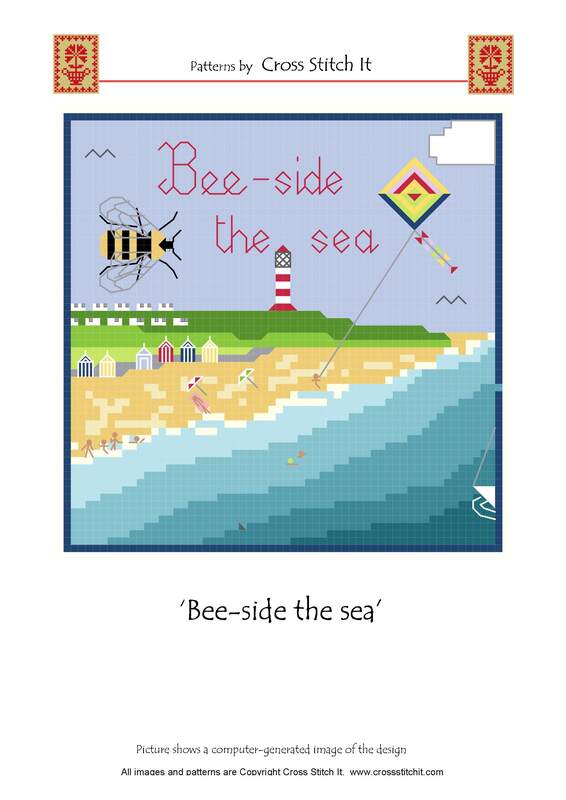 Today I have for you Bee-side the Sea another free pattern exclusive from Cross Stitch It just for readers of Craft Gossip. In addition to this fun free pattern, Cross Stitch It is providing an exclusive 25% discount voucher on all Cross Stitch It charts (excluding bespoke samplers and commissions) for Craft Gossip Readers – valid from today until July 31st 2012. The discount applies to all published patterns, including new patterns appearing during the month at Cross Stitch It.